Friends, today I am really happy to release the coded version of the email template that’s released in Photosop PSD format. The template is coded by Vincent (VincentYang.net). The download is a zip file that includes the HTML file and accompanying images. 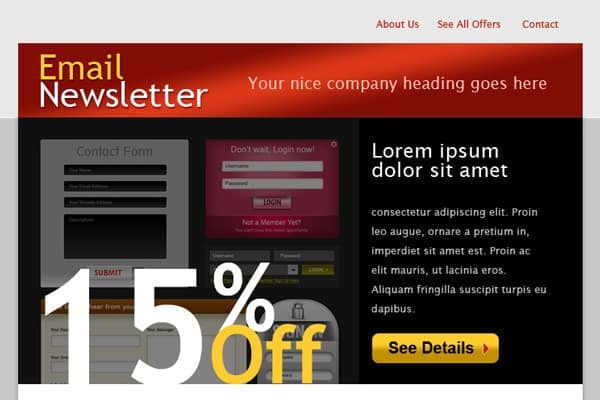 The HTML template was tested and working in the Mozilla Thunderbird email client. You can use this coded template for your personal or client’s work. Thanks much!